Altis Property Partners’ AREEP 1 Portfolio, a sale worth $224.1 million, making it the largest industrial portfolio transaction in five years. The sale was handled by Gavin Bishop and Roger Miller of Colliers International. 39 Britton Street, Smithfield, NSW: an institutional-grade industrial facility of 13,390 square metres Net Lettable Area (NLA), within a well-located and established industrial area. 34-38 Anzac Avenue, Smeaton Grange, NSW: a modern multi-tenanted estate of 22,062 square metres NLA, with a strong tenancy profile. 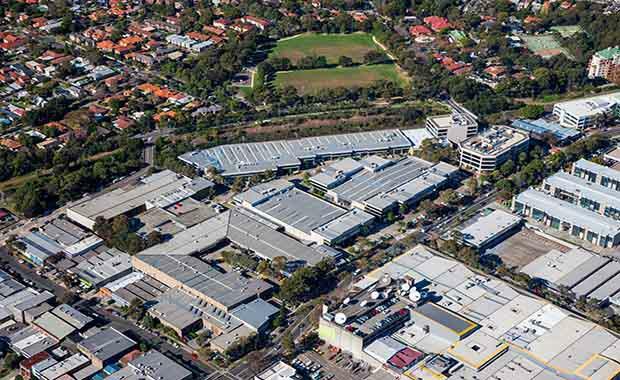 8 Brabham Drive, Huntingwood, NSW: A new facility of 6,048 square metres of NLA on a site area of 26,970 square metres located in a key logistics centre for Sydney, this asset was completed in April 2013. 39 Herbert Street, St Leonards, NSW: Regarded as the best industrial estate on the north shore of Sydney, this asset has significant potential upside in the longer term. It includes 36,847 square metres of NLA on a 3.7 hectare land holding. 34-44 Jonal Drive, Cavan, SA: a high quality modern industrial warehouse of 8,323 square metres NLA in Cavan with surplus land for additional development.